Stoner Gust EZ Duster - 12 oz. 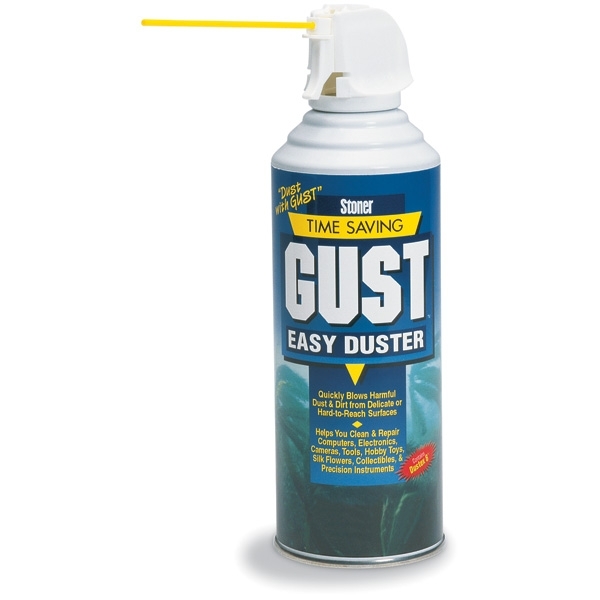 When you dust with Stoner GUST Air Duster you get a blast of extremely clean, filtered, moisture-free, high pressure propellant that won't scratch or harm glass, optics, metals, plastics, rubber, or delicate electronic equipment. With GUST, there's no need to wipe. Simply blow away dust, dirt, and contaminants by squeezing the trigger. GUST's unique variable pressure trigger lets you control the dusting force. GUST is like having a portable air compressor that you hold in your hand.